Thus, the DICT will be a wholly new line department that will address the above-mentioned concerns and activities of the national government. Inasmuch as there is a 6 month transition period, the DICT shall have a cabinet level Secretary, 3 Undersecretaries and 4 Assistant Secretaries that will lead the department into the 21st century. The importance of the DICT cannot be understated since the world economy is almost wholly reliant in the transfer of information and communications. This also underlines the need for a department that will be fully responsible in implementing and developing programs and projects for a national information and communications technology infrastructure that will help fuel the economic, educational and social development of the country. The establishment of the DICT is a chance for this government to start with a clean slate (tabula rasa) so that it will be able to synergize public and private expertise in the country. These “experts” in the field will then be able to develop and implement new practices and adopt the best practices to be found here in the country and abroad. This must be done in order that the DICT will be off to a good start and begin in the right direction in such a crucial part of the Philippine economy. By virtue of harnessing the country’s best and the brightest for the DICT, the new agency must also be inclusive in its effort in national development. All available talents must be included in its staffing patterns and most of all, its leadership. By inclusivity, it means that it is not only “Manila Centric” but must also be cognizant of those outside Manila who have contributed immensely to the development of the ICT industry outside of Manila. Those who have been instrumental in the rise of the ICT industry because the talents and resources of the entire country, particularly in the regions outside Manila have tapped, harnessed and successfully form an integral part of the country’s ICT industry today. TechBlade in its own way is also cognizant how crucial the DICT is in the economic well-being of the country and recognizes one of the pillars of the regional ICT industry and is also aware of the developments in the ICT industry in the countryside as evidenced by a number of articles already published by it online. This publication has been covering these developments and recognizes the contributions of Atty Jocelle Batapa-Sigue in the ICT industry. Her involvements are not only technical in nature but also manages to harmonize the confluence of government, private and even local sectors so as to drive further development of the ICT industry. It also includes infrastructure development and manpower resource development. Atty. 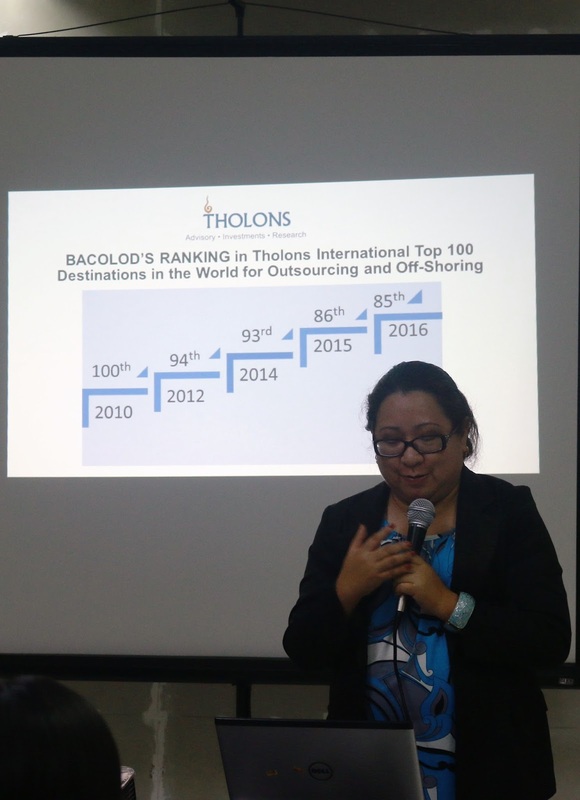 Jocelle Batapa-Sigue was the co-founder, former chair, and sitting trustee of a nationwide organization of more than 45 ICT councils -the National ICT Confederation of the Philippines (NICP). With this attribute – she would be able to effectively link the DICT to all local stakeholders, engage them in collaborative ways to develop strategies to realize inclusive growth and to ensure that DICT will become a very dynamic and far-reaching department of the Duterte administration. With this attribute – she would be able to effectively link the DICT to all public and private sector stakeholders, academe and industry and engage them in collaborative ways to ensure the joint mandate of DICT with various government agencies as embodied in Republic Act No. 10844 are effectively realized and to ensure that DICT will become a real catalyst of change pursuant to the direction of the Duterte administration. With this attribute – she would be able to effectively manage, oversee and implement government processes and projects in collaboration with all stakeholdersas mandated in Republic Act No. 10844 and to ensure that DICT will become a champion for inter-operability and eGovernance. With this attribute – she would be able to effectively assist the Secretary of the DICT in bringing the Department closer to the stakeholders and to the public by develop strategic communication plans to inform them of performance of the Department pursuant to Republic Act No. 10844, making the DICT the most innovative department where citizens are able to participate. With this attribute – she will be an asset to the DICT in driving innovation and inspiring Filipinos to embrace innovation and demand for more efficient, streamlined, fast and responsive services from the government and other service-delivery points such as the academe and the business sector. The DICT will prove that it is a Department for those who truly deserve to serve because its officials’ their track-record speaks of service and dedication to the country. Most importantly, Atty. Jocelle Batapa-Sigue's contribution is enabling the countryside to contribute vigorously to the efforts in harnessing the capacity and talents of the regions outside Manila with regards to the ICT industry. The regions will supplement and complement the current ICT industry and create an impetus in regional development. Thus, TechBlade recognizes the abilities, commitment and competency of Atty. Jocelle Batapa-Sigue. A Champion of the Regional ICT Industry.